Push cameras have a camera head attached to the end of a push rod and are ideal for shorter inspection tasks. 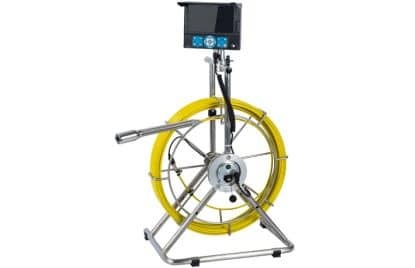 They are especially useful for drain and sewer inspection. 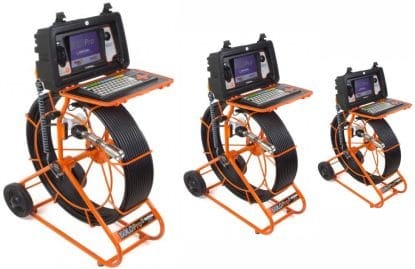 This is a Drain/Pipe Inspection Camera that comes with 23mm camera head, a 7inch LCD monitor with DVR, a 40m cable reel that is rotatable itself in the case. 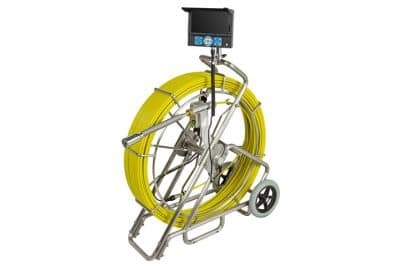 This is a Drain/Pipe Inspection Camera that comes with self-leveling feature 38mm camera head, a removeable 7inch LCD monitor with DVR, a 60m fiberglass push cable reel. 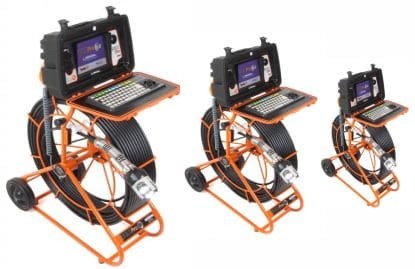 This is a Drain/Pipe Inspection Camera that comes with self-leveling feature 38mm camera head, a removeable 7inch LCD monitor with DVR, a 100m fiberglass push cable reel. Improve your Cam-Cam with these new accessories! 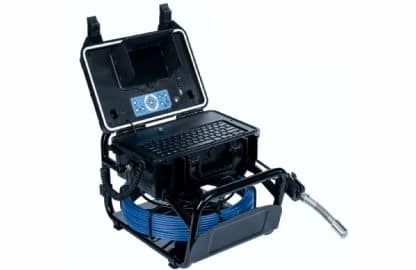 The new Solo Pro was designed and developed to provide our best ever solution for one-man surveys. Available in a choice of 3 coiler sizes – 40, 60 and 100 metre.